Starting 9th May, Nintendo will add new components to the default Nintendo Wii console packages which are offered at all retailers throughout the United States. 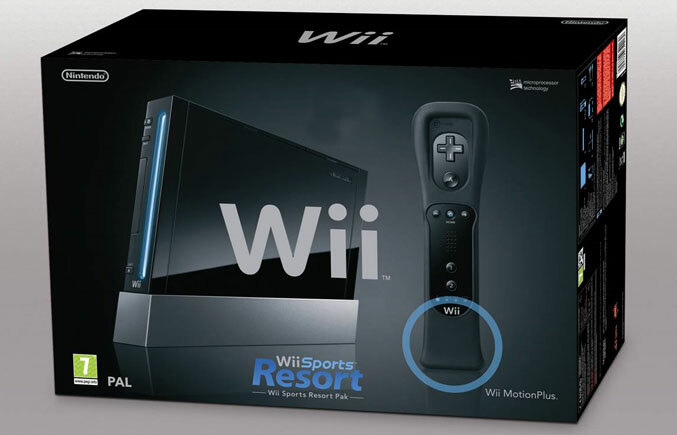 In addition to the already provided motion-sensing components like the Wii Remote Controller, Nunchuk controller and the popular Nintendo Wii Sports Game that comes with each Nintendo Wii purchase, every new console will now come packaged with the Wii Sports Resort and the Control-Enhancing Wii MotionPlus accessory. In addition to all that, Nintendo Wii consumers will be given the ability to choose between two color schemes for the Nintendo Wii system and controllers which are the original white, or the new black. The retail price of the new system package will remain at 199 USD in the United States, and will be established by the local markets for the rest of the world. President of Nintendo of America, Reggie Fils-Aime, said that Nintendo leads the way in delivering rich motion-control gaming experiences at an accessible price point. He also explained that by including even more of their top-quality hardware and software in the basic Wii console package, they are extending that commitment to the entertainment and value. Reggie Fils-Aime also stated that now more than ever, consumers can count on Nintendo to deliver inclusive fun and advanced motion controls at a mass-market price. The Nintendo Wii Sports Resorts expands the interactive entertainment of the original Wii Sports with the resort-themed activities including wakeboarding, archery and swordplay. The Wii Sports Resort features the rich control enhancements of the Nintendo Wii MotionPlus, which allows the players to enjoy the stunning precision of the motion-control excitement immediately after opening the box. The Wii MotionPlus has already set the standard in precision motion controlling by delivering a stunning and exciting social experience which is not available on another system. As of 9th May, People who purchase the system can now experience this leading-edge video game technology from the moment they open the retail box and plug in the console, because the Wii Sports Resort game and the Wii MotionPlus accessory will come standard with every new Nintendo Wii retail box. The black version of the Nintendo Wii system, which was previously not available throughout the United States, will offer all the features and functions of its white brother in a new and stylish color scheme. For more information about Nintendo Wii, visit Wii.com.